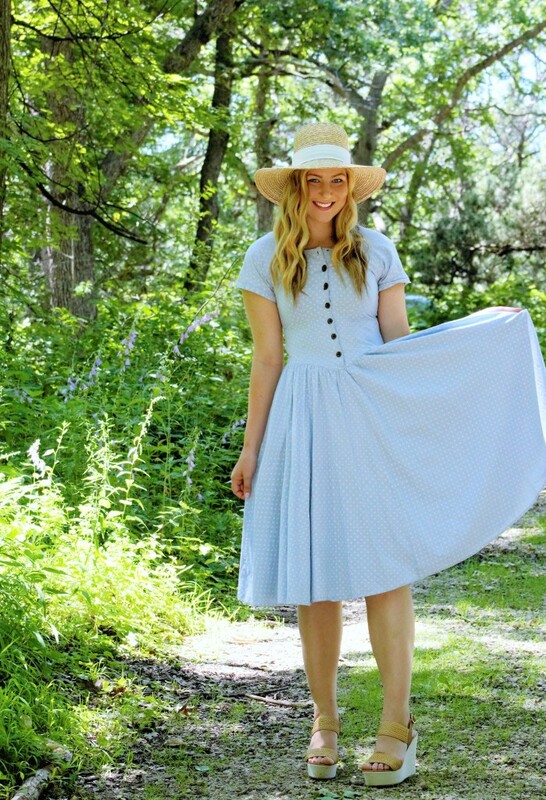 Every summer, I love the opportunity to wear my favorite vintage dresses and make it my go-to summer style! 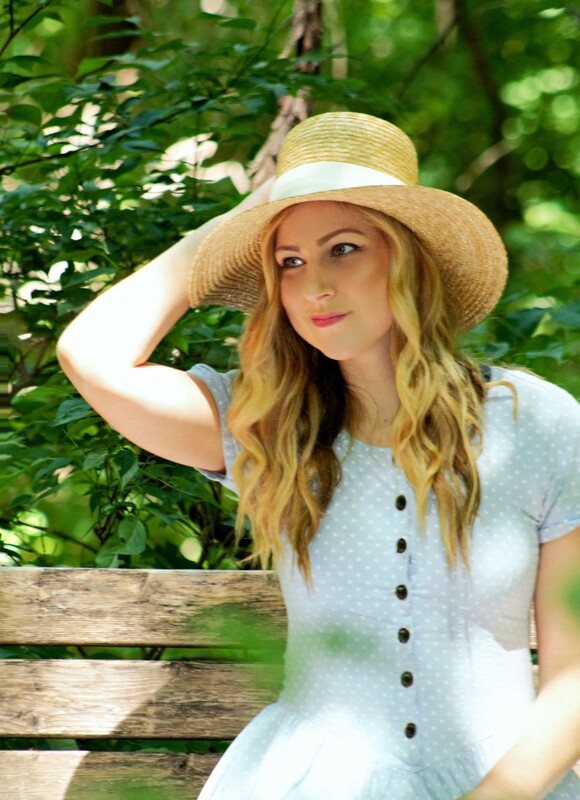 One of my favorites that I’ve had for years, is an easy-breezy button-up polka dot dress. 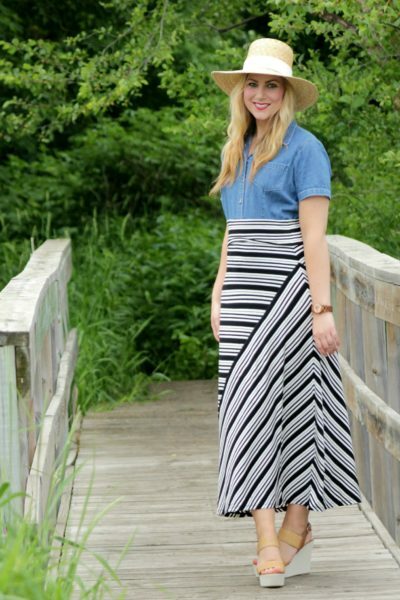 I’ve worn it previously on the blog with a tweed jacket and once with a bow belt, but this weekend – I wore it simply with a summer straw hat and a pair of Steve Madden wedges. 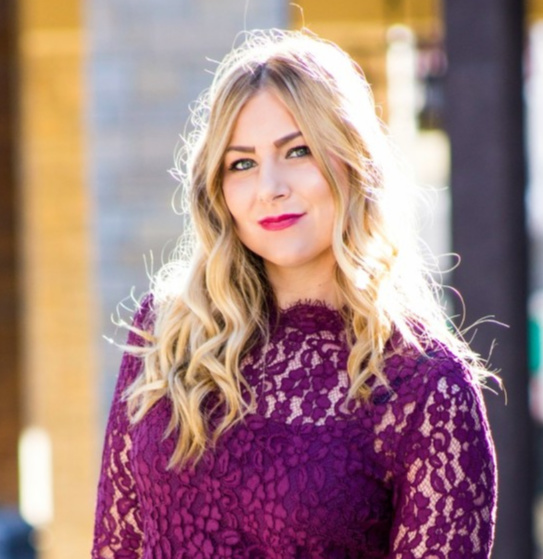 While this particular vintage polka dot dress is not for sale – I found a very similar one from Etsy! Summers always seem to get crazy – between the amount of travels and local fun things going on, I feel like I can never keep up with it all! That’s why my fiancé and I spent this past weekend as a mix of relaxing and getting caught up (laundry, groceries, working out…). I’m also excited to have a couple more weekends off before our next adventure. But – we had an AMAZING time in Denver – so it was worth it. 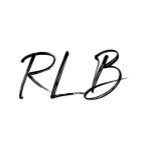 Linking up with Rachelle at Pink Sole. Rachel you look gorgeous! The dress is so pretty. Glad you were able to have a relaxing weekend. 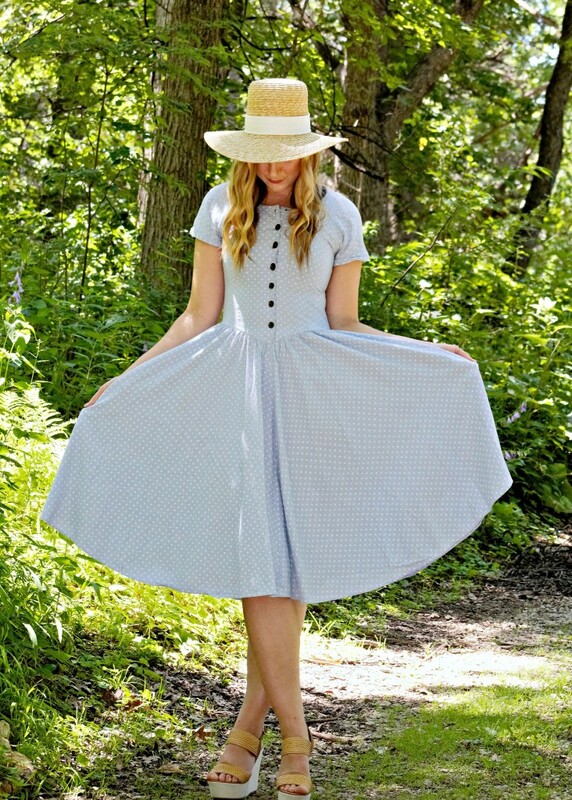 Love this hat & dress combo! Now don't you look a beautiful lady in this outfit! Lovely styling girl! What a beautiful summer dress! So perfect with your wedges. You look stunning! Love this dress on you! What a gorgeous dress! 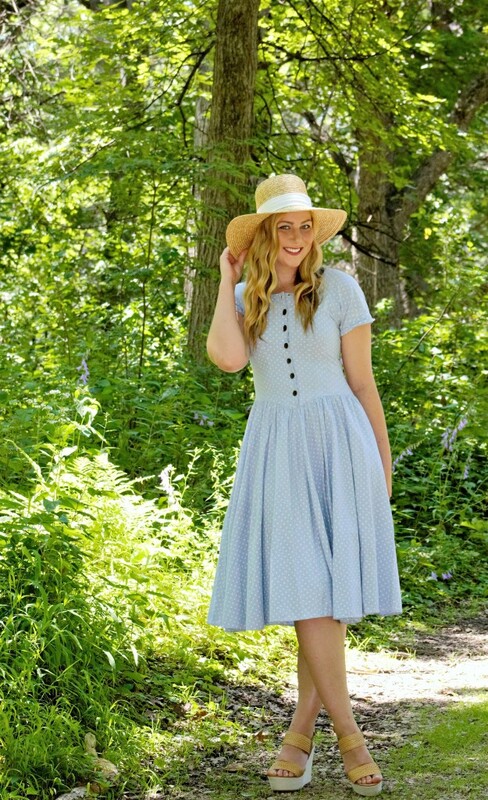 While I don't have any vintage dresses such as this one, I definitely have a few favroite dresses for summer that get a lot of wear. I love vintage dresses SO MUCH! No way you could get such a lovely look with a “new” dress, no matter how cute it would be. You look so lovely! Absolutely Marta! I am 100% with you on this! That is why I LOVE VINTAGE so much. Unique, well-made and timeless! Thank you for your comment! What a cute vintage dress! I love it! I find vintage pieces normally hold up better, and are less common, so you won’t see someone out at a coffee shop with you wearing the same one. Love this piece! You have nailed the ladylike, classic Americana look here, Rachel. 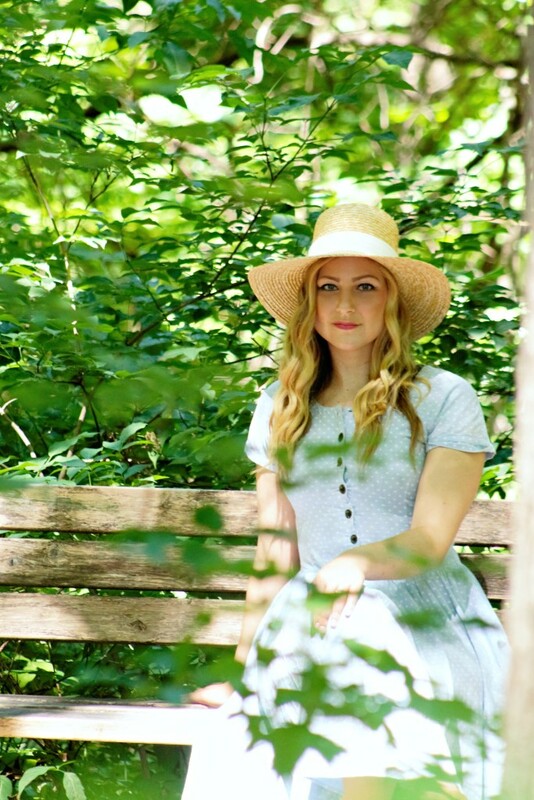 The dress, shoes and hat are all beautiful and you look gorgeous. I actually own very similar wedges. Hope all is well! Have a great day! <3 Ada. How pretty is this summery dress?! I love the light blue, and the fact you paired a wedge with it! Killer, lady!